All music brought to life by Dorosoto. Track 8 originally recorded by Forrest. 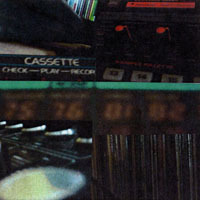 Tracks 1-5 taken from "EP1," self-released in 2006. 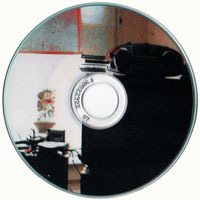 Tracks 6-8 recorded between 2006-2008 and previously unreleased. Equipment Used: Tascam digital 8-track, Moog MG-1, Roland SH-1000, Roland CR-8000, Roland SP-808, Casio RZ-1, Korg Poly 800, effects pedals. NOTE: This release was available free for a limited time, exclusively with orders from I, Absentee. It is now out of print. Released: April 30, 2009. 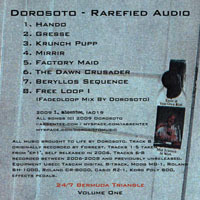 Recompiles most of Dorosoto's elusive "EP1" disc. Given away with orders.